Private Building Certifiers must be licensed with the Queensland Building and Construction Commission (QBCC). 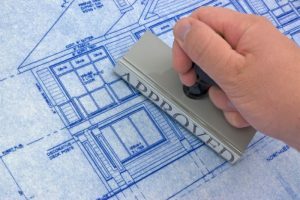 Building Certifiers are responsible for assessing whether proposed building work complies with the Building Act 1975 and associated standards, local laws and state laws whilst liaising with liaising with other authorities including infrastructure providers. The Building Certifier who issues the building approval (Decision Notice & Conditions) must also perform Building Inspections at mandatory stages to determine if the building work complies with the Building Approval. A Certifier is not responsible for job site supervisions, quality control or making sure the builder is complying with his Contract. It is the responsibility of the Building Certifier to stay updated with the latest building practices and legislation and to adhere to a Code of Conduct set down by the Building Codes Queensland – a division of the Department of Local Government and Planning.